While you command an event in your core, this personnel is attributes +1. 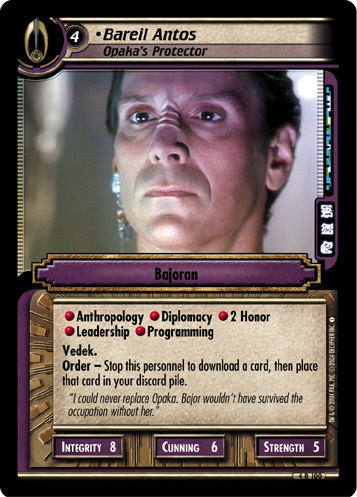 In early 2370, the Federation was forced by the Alliance for Global Unity to abandon Deep Space Nine. 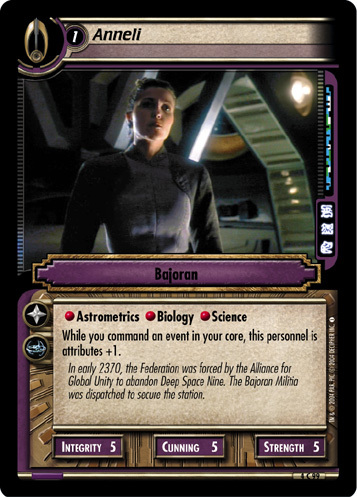 The Bajoran Militia was dispatched to secure the station.